This Month’s special image is the open cluster M67 in the constellation Cancer. This beautiful open cluster is very often overlooked in favour of its close neighbour – the Beehive Cluster. So overlooked in fact that this image made Astronomy Picture of the Day, as nobody had published an image of M67 before. This is a great shame as M67 has a huge amount to offer. 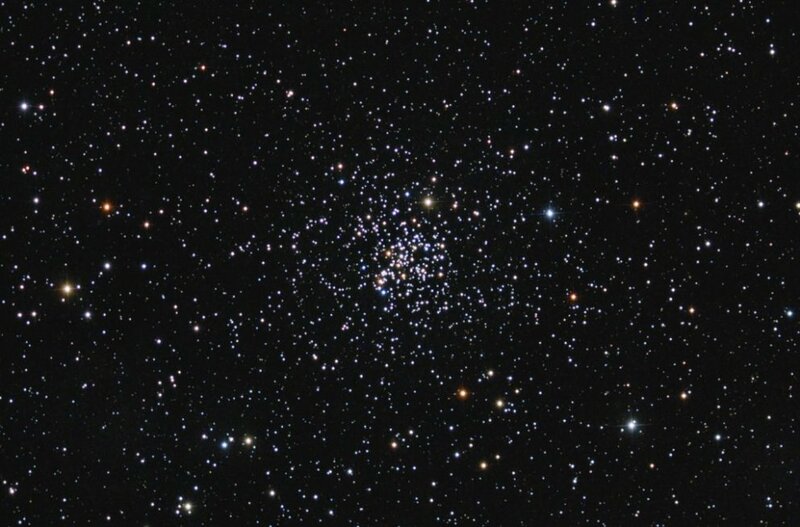 With an age somewhere between 4 and 5 billion years – M67 is one of the oldest open clusters known! At a distance of 2,600 light years, this cluster is still a naked eye object even under my medium-light-polluted skies! Spend plenty of time on this one, and take a wide field to show its position in context. The accompanying image was taken using the Sky 90 at f#4.5 and the SXVF-M25C one shot colour camera. Until next Month – happy imaging and clear skies!